Calling all coloring enthusiasts! 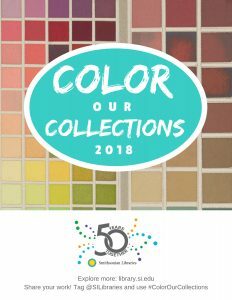 #ColorOurCollections is back for 2018 and we have a brand new coloring packet! During Color Our Collections, which is organized by the New York Academy of Medicine, cultural institutions from around the world will provide inspiration and coloring sheets for artists of all ages to fill in. 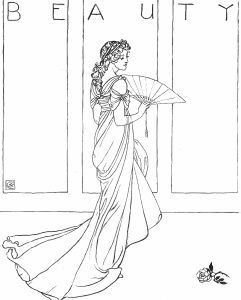 Colorers can share their creations on social media by tagging the organization and using the hashtag #ColorOurCollections. To celebrate, download one (or all!) of the coloring packets we’ve created based on images in our collection. Beautify “Beauty” from Beauty and the Beast, add a little color to a sixteenth century herbal, or liven up some embroidery designs. Share your creations via social media and tag us (@SILibraries on Twitter and Instagram). We can’t wait to see what vibrant combinations you come up with. Want even more coloring fodder? See the Biodiversity Heritage Library’s Color Our Collection page to download their free coloring books. From Walter Crane’s “Beauty and the Beast Picture Book” [1900 or 1901], featured in our latest coloring packet.